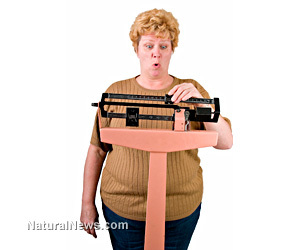 (NaturalNews) As if we need another reason to detox, research has shown environmental poisons can lead to obesity and diabetes. According to Mark Hyman, M.D., a study in the Lancet made a significant connection with a person's toxic load and how the body is able to balance blood sugar and metabolize cholesterol. Given enough time, these changes result in insulin resistance - and increased fat storage. "This discovery should be headline news but no one is talking about it. Why? Because there are no drugs to treat it. In the quest to conquer the two biggest epidemics of our time - diabetes and obesity - we've got to turn our attention to the heavy burden environmental toxins put on our bodies," asserts Dr. Hyman. Water - The kidneys are one of our main, although often neglected, detoxification organs. To keep this essential pathway clear and working properly, the body needs to stay hydrated throughout the day. If your urine isn't almost clear, there is a good chance you are dehydrated. Drinking at least 8 ounces of purified water per day is the recommended minimum, more while detoxing. Fiber - The importance of fiber for detoxification cannot be stressed enough. If we aren't having one or more bowel movements per day, toxins accumulate in the digestive tract, which are then reabsorbed into the blood stream. And yet, when we consume adequate fiber, this health menace is safety and efficiently escorted out of the body. Sweat - Since the skin is the largest organ of elimination, it behooves us to use it to our advantage. Working up a sweat at least three times a week, for 20 minutes per session, will support toxin removal. Infrared saunas are another excellent option, especially for heavy metal elimination. A steamy bath with baking soda and Epsom salt is also an effective detoxification method. However, always use either purified water or add 1000 mg ascorbic acid (vitamin C) powder to counteract chlorine. "One of the best ways to harness the power of the lungs to heal and detoxify is to learn how to belly breathe. Start by putting your hand on your belly. Breathe out, squeezing the air out of your lungs with your stomach muscles. As you breathe in, relax your stomach muscles and, after filling your lungs, try to push your hand off your belly with your breath, filling the lower part of your lungs. Continue to breathe in and out slowly through your nose. Each in and out breath should last to the count of three. Do this for five minutes a day." All in all, if you are having a difficult time shedding excess weight - despite a clean diet and exercise, toxins may be dampening your metabolism and setting the stage for disease. By tapping into the power of each of the four suggestions above, those stubborn extra pounds might just melt away, uncovering a healthier you in the process.